Professor John Carlton will address the current understanding of issues and future research into cavitation at the Institution of Mechanical Engineers (IMechE) on 16th September. City University London Professor of Marine Engineering, Professor John Carlton, will be presenting the Institution of Mechanical Engineers' (IMechE) Fluid Machinery Group Lecture on 16th September. Professor Carlton's presentation, 'Cavitation: The Issues, Current Understanding and Future Research', will take place at the IMechE headquarters, One Birdcage Walk, London SW1H 9JJ. Cavitation is the formation of gas bubbles of a flowing liquid in a region where the pressure of the liquid falls below its vapour pressure. In the context of marine engineering, it is a significant cause of serious damage to ship propellers. In his lecture, Professor Carlton will give a brief historical overview of cavitation before progressing to a discussion about the nature and extent of cavitation problems encountered principally within the marine propulsion industry. He will draw on aspects from related industries, including the current understanding of cavitation collapse processes and erosion mechanics. 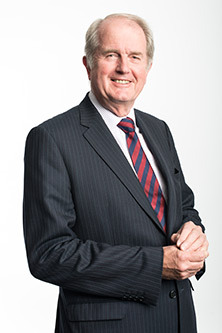 An immediate past president of the Institution of Marine Engineering, Scientists and Technologists (IMarEST), from 2010-2011, Professor Carlton is an authority on ship propellers and propulsion systems and is also Chairman of the Royal Academy of Engineering's Working Group on Alternative Methods of Ship Propulsion. His textbook, 'Marine Propellers and Propulsion', recently published by Butterworth-Heinemann, is considered the bible of the subject within industry and academic circles. Professor in Engineering Design & Compressor Technology, Professor Ahmed Kovacevic, who initiated the IMechE's Fluid Machinery Group, will be chairing Professor Carlton's lecture. "Cavitation has become increasingly important for a variety of disciplines including fluid machinery and propulsion. Deep understanding of the phenomena associated with cavitation can help in enhancing and moving forward many of today's technologies. We are very pleased that Professor Carlton has agreed to give this lecture at the IMechE. His years of expertise on the effects of cavitation in marine technology will offer an audience of mechanical engineers the opportunity to listen to the latest advances in the subject; they will certainly be able to apply the concepts and approaches presented in the lecture to problems and issues in fluid machinery". Entry to the lecture is free of charge. To register, please visit this website.